The Pharmaceutical Benefits Advisory Committee called for the life-changing drug Orkambi to be subsidised after several failed attempts to list it in the past. Sufferers and advocates say the drug reduces hospital admissions and slows a decline in lung function, but some Australian health experts want more evidence. “Short-term outcomes show promise, particularly as it reduces the rate of pulmonary exacerbations — that is the acute worsening of symptoms — because this is a predictor of survival,” Dr Siobhain Mulrennan, director of the Adult Cystic Fibrosis unit at Perth's Sir Charles Gairdner Hospital, said. The PBS committee had struggled in the past to justify the drug’s high price against its demonstrated benefits. Patients were paying a reported $250,000 a year for the drug previously, but its pricing under the scheme is still not known. 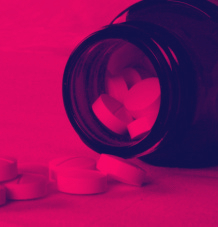 “It's hard to know what's driving these costs but increasingly companies price drugs up to what they think the governments are willing to pay,” said Professor Philip Clarke, health economist at the University of Melbourne. “It's very clear the company's offering a lower price, we just don't know what that is. The federal health department says the drug company Vertex must agree to strict conditions before it can be formally listed. “Vertex stands to receive many hundreds of millions of dollars under this arrangement and the Government encourages the company to continue to work with the Department of Health to progress this listing as soon as possible,” a spokesperson for Health Minister Greg Hunt said.